The AADF established Young Innovators Club at Protik Center in order to give technology enthusiasts a place to develop their ideas. Young people with advanced technological knowledge and keen interest in further strengthening their skills were invited to take part in the club. 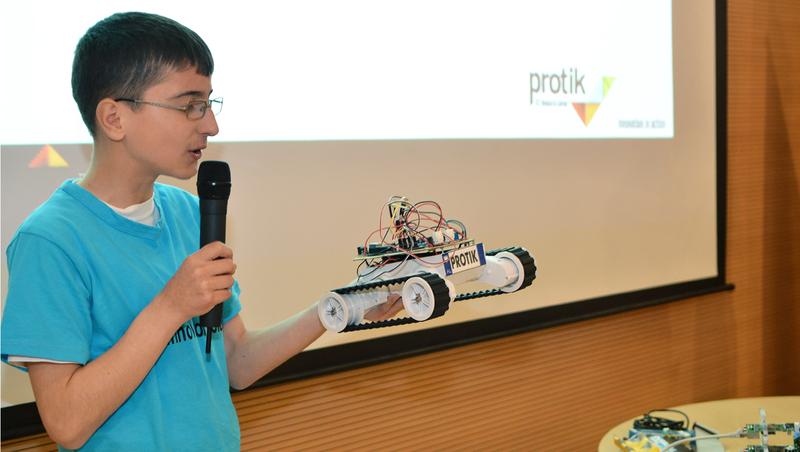 Club members used equipment like the Raspberry Pi computer, Arduino microcontrollers, and a Lego NXT robot to work on their projects. The program was sponsored by the AADF for two years. The members of the Protik Young Innovators Club were invited to discuss their latest projects on SHIH Programin.